My son Reese and I came up with “Warning Signs” in early October 2012. He/I would goof around with various verse combinations, but in trying to keep with an overall theme, this is all his 5 yr old attention span would allow. I originally wanted him to sing the song by himself, but he wasn’t too receptive to that idea when I put the mic in front of him, so I opted for a shared vocal arrangement, which he was comfortable enough in and allowed me to record. We recorded live, in one take, and then I went back and recorded a quick solo guitar track to accompany the rhythm track and vocals. It’s cold outside, and the ghosts are howling. It’s cold outside, they wait for you. the black cat, stares at you. And there’s an old scarecrow, in a farmers field. The old scarecrow, is warning you. And there’s a horned owl, in a poplar tree. 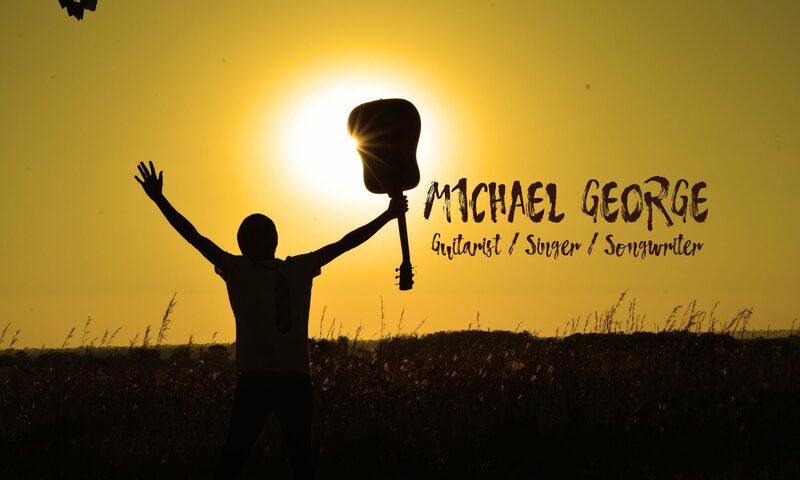 Lyrics: Reese George & Michael George / Music: Michael George. © 2012 Reese George & Michael George. Warning Signs cover design by Michael George. 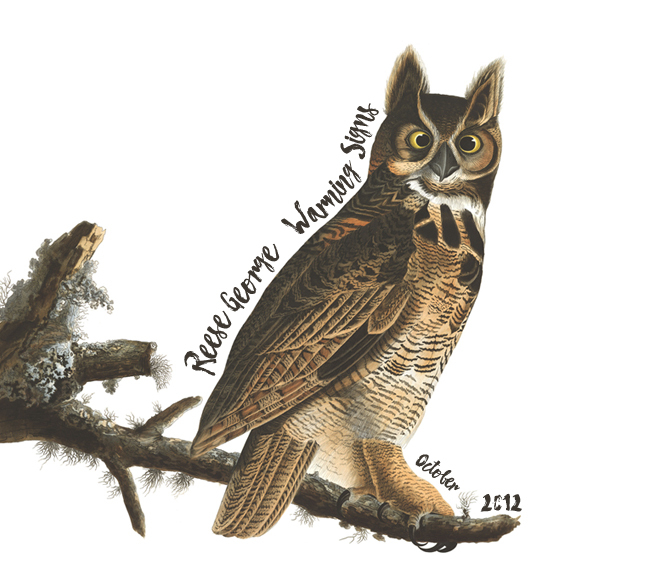 Image “Great Horned Owl”, Plate 61, by John J Audubon. Public domain image.